We are a truck rental company that provides a Class A or Class B vehicle, manual or automatic for the CDL Skills Test. We rent to people that have a basic knowledge of operating a larger vehicle and has some experience backing a trailer of some type. 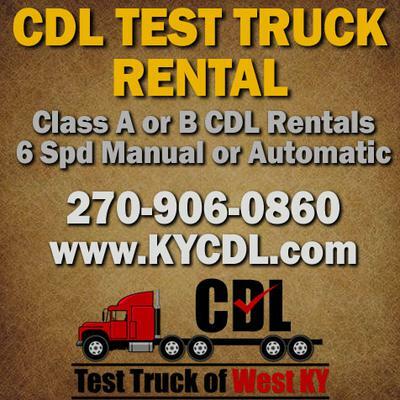 We currently can rent to anyone in Kentucky who has a CDL permit.